Detailing the physical features, habits, territorial reach and other identifying qualities of the Southern Sculpted Pine Borer Beetle. The bronzed Southern Sculpted Pine Borer is a pest of pine trees' interiors despite its own glamorous exterior. 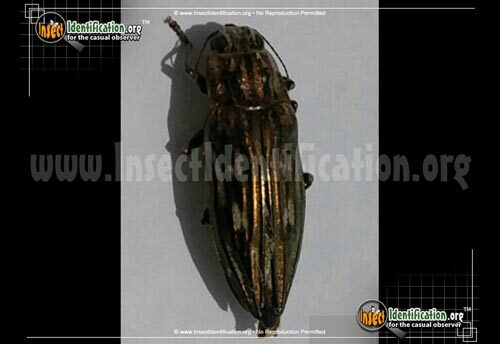 Part of the Metallic Wood Borer family, the Southern Sculpted Pine Borer is a beetle that fits its name in every way. It is commonly seen in the southeastern states affecting the various pine species that grown there. 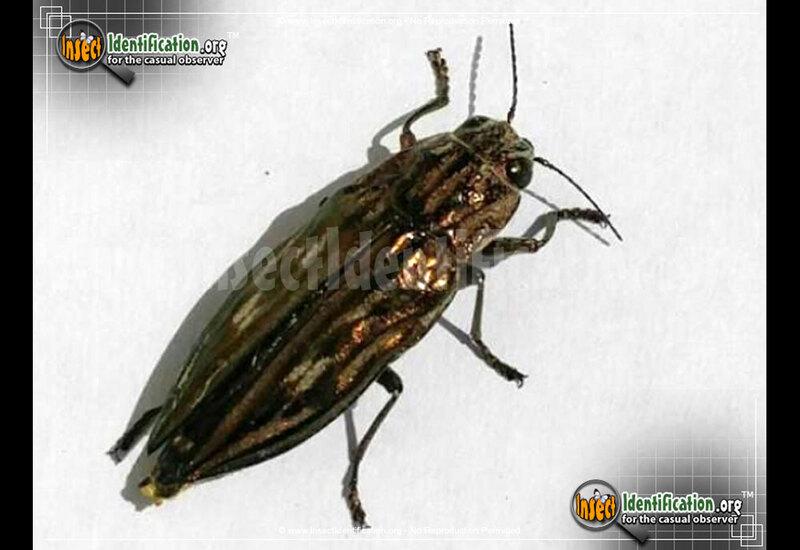 The adults are shiny and golden, sometimes bronzed, with ridges sculpted into the elytra. Lines of ivory run along the back, helping highlight the texture. While the adult does not seem to harm the tree, its larvae are quite a nuisance. They bore tiny tunnels through the wood, eating wood tissue as they travel. Once they mature, they leave the tree, but the damage left in their wake cannot be repaired by the tree. This makes the timber less valuable because the tunneling leaves unsightly holes, rendering the lumber unusable for high-value applications like flooring, cabinetry, and furniture.